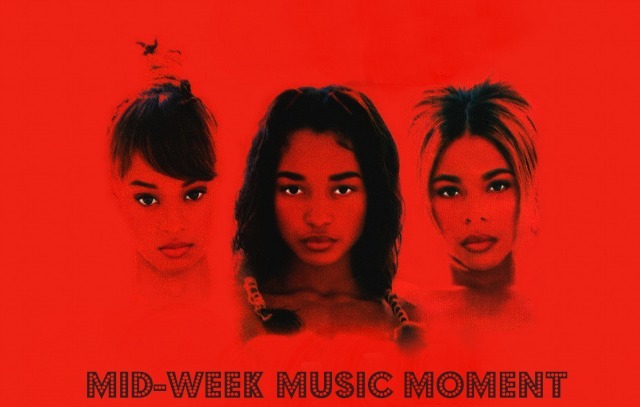 It's kind of a funny thing to look back on albums like crazysexycool, the ones that came out in, you know, 1993, and think about listening to that music as kids. I was roughly eight years old when this album and it's biggest hits like "Waterfalls" were on the radio. Still, I remember vividly watching that music video on MTV and being obsessed with these three beautiful women dancing on water. Now, I love Waterfalls as much as the next child of the '90s, but let's be real: Creep was the ultimate jam from crazysexycool. Those trumpets and the beat drop of this song have become iconic - you know this one instantly. I mean, right? How nostalgic are you feeling right now, and how good is this song? If you want to really drive it home, and possibly make your coworkers feel really uncomfortable in the office, have another moment for "Red Light Special" and "Diggin On You." omg soo soo good. I heard red light special the other day in a store and started singing.